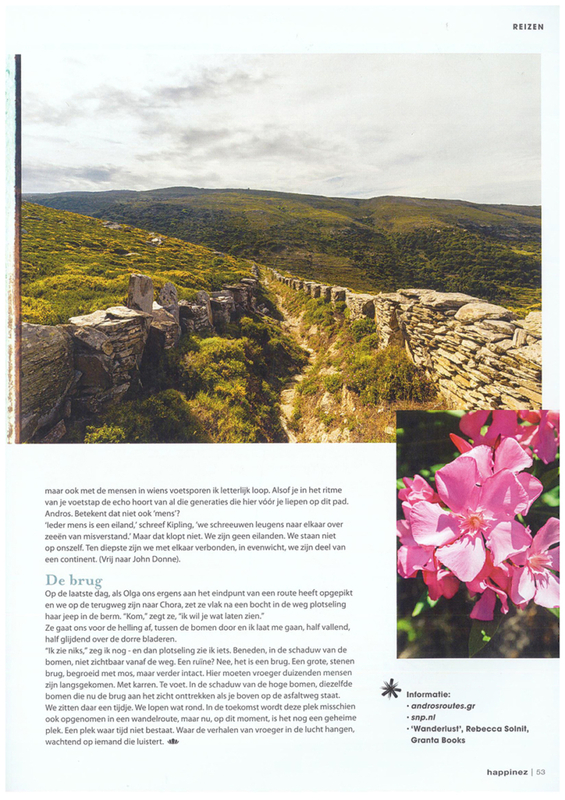 Dutch magazine Happinez publishes an extensive post article the Andros trails! 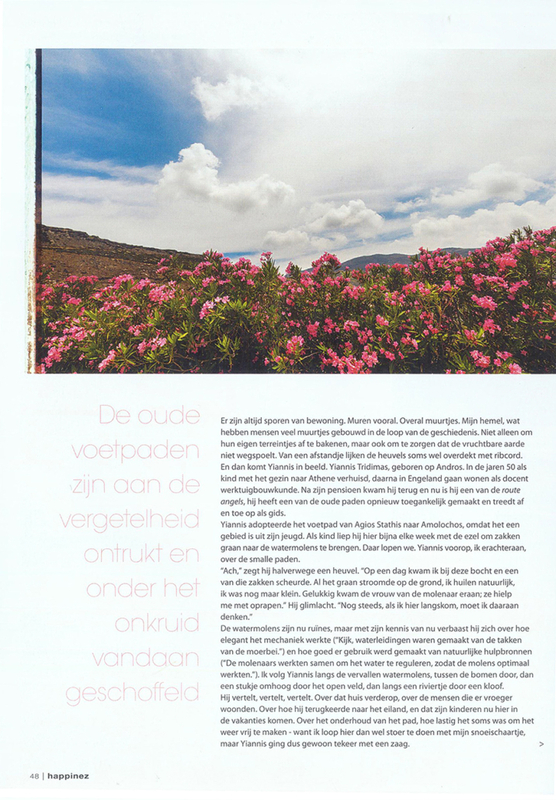 An extensive tribute to Andros and its paths was presented in the summer issue of the Dutch magazine Happinez. This is a very significant publication as the magazine is read by an estimated 450,000 people across the globe with an interest in nature, wellness and travel.. 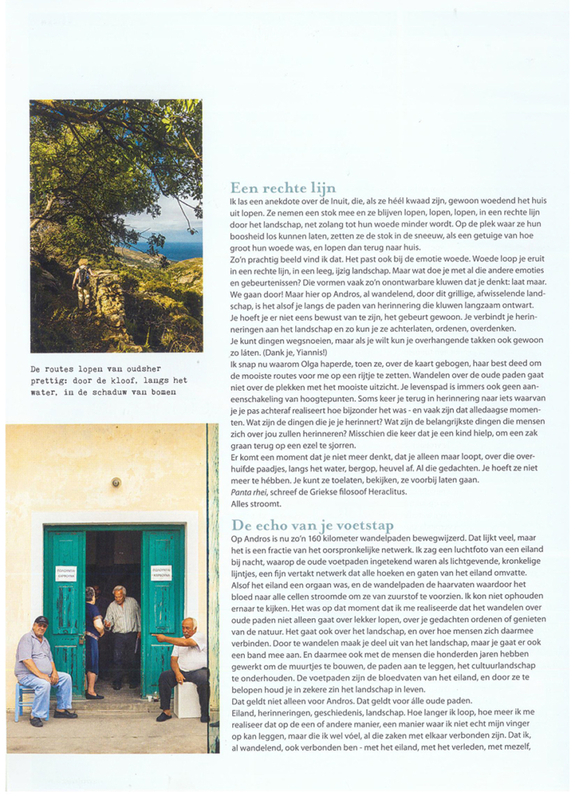 The publication took place as part of our cooperation with the Dutch SNP travel agency, which in recent years has supported our work in a variety of ways, among others, by promoting the paths and the certified Andros Route. 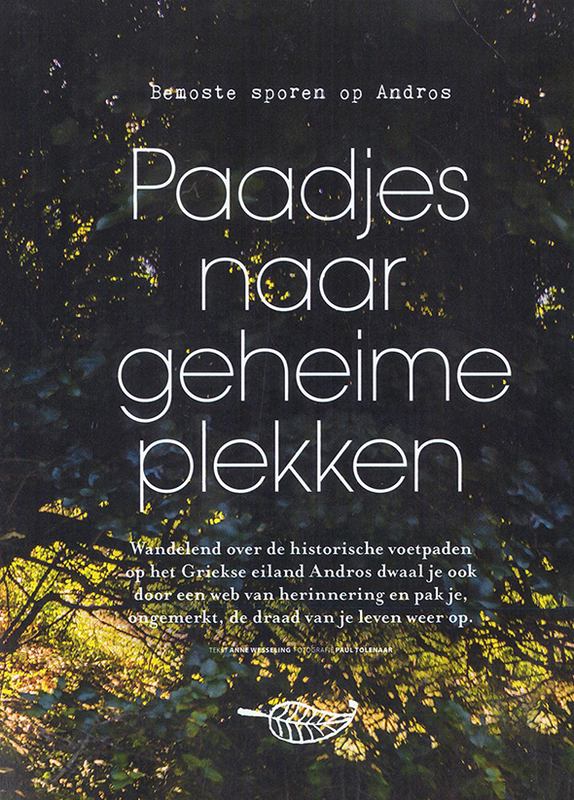 The magazine makes publications in German and French as well as in English addressed to the British and American markets. 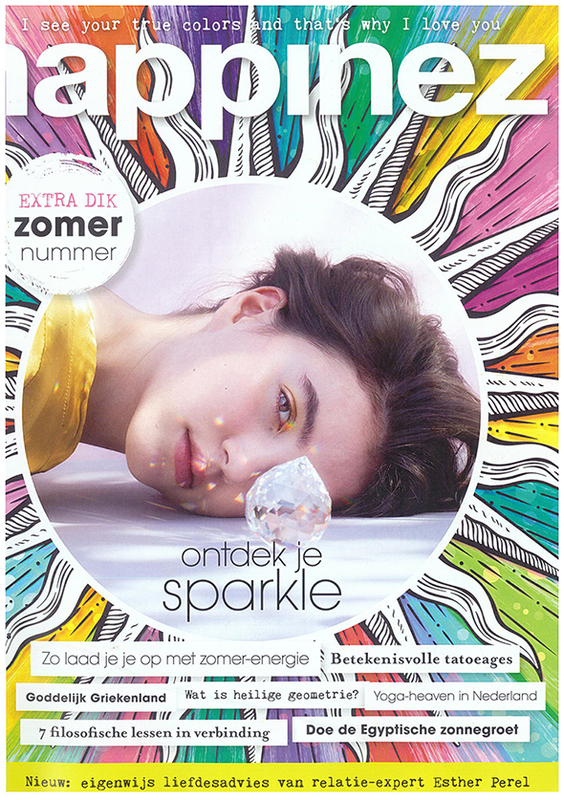 Over the past 13 years it has been in the top 5 Dutch journals read by women. Happinez is published in electronic and printed form with 7 issues a year and is aimed at professional audience with an interest in an active, meaningful, and intellectual life. 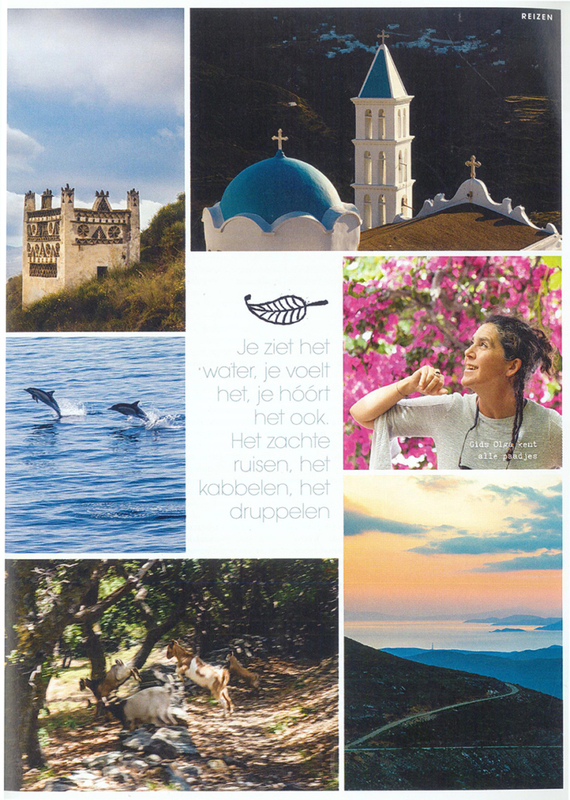 It has a focus on travel, everyday life, arts, culture, spirituality, health and psychology. 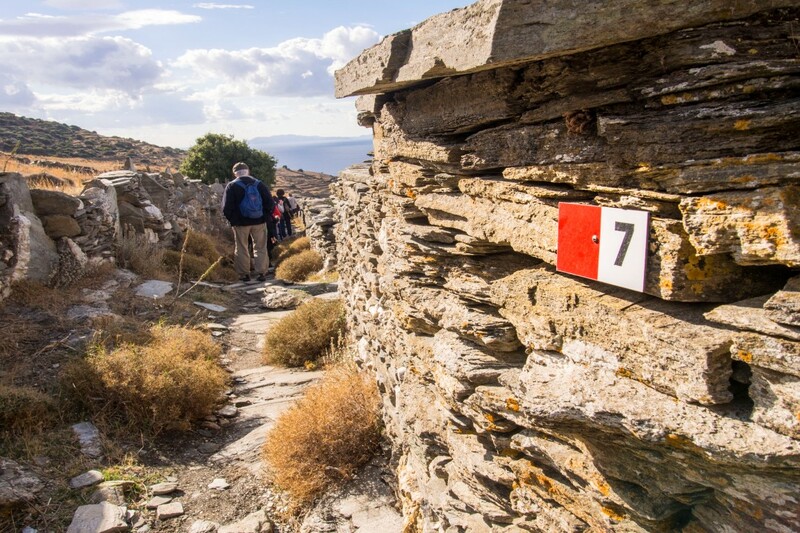 “When you walk in the different scenery of Andros, in some way this unlocks your memories and thoughts, allows you to leave them on the edge or to reposition them. 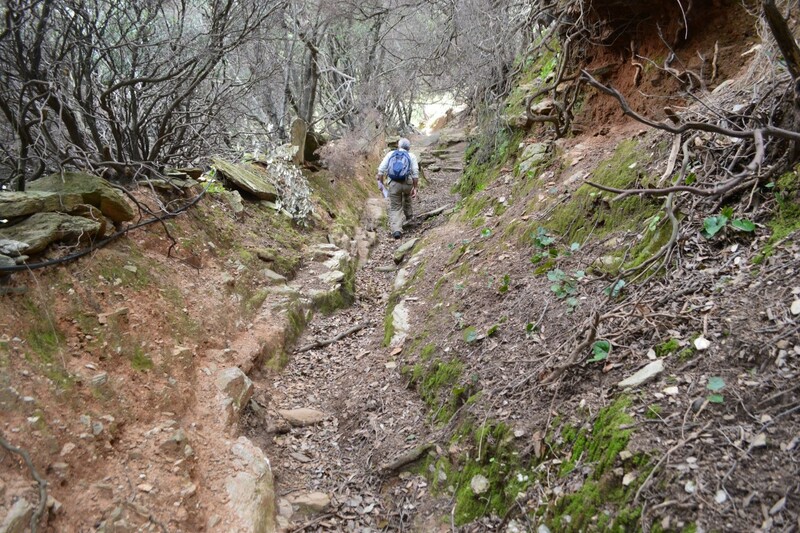 There will be a moment when you will not even think – you will just walk. 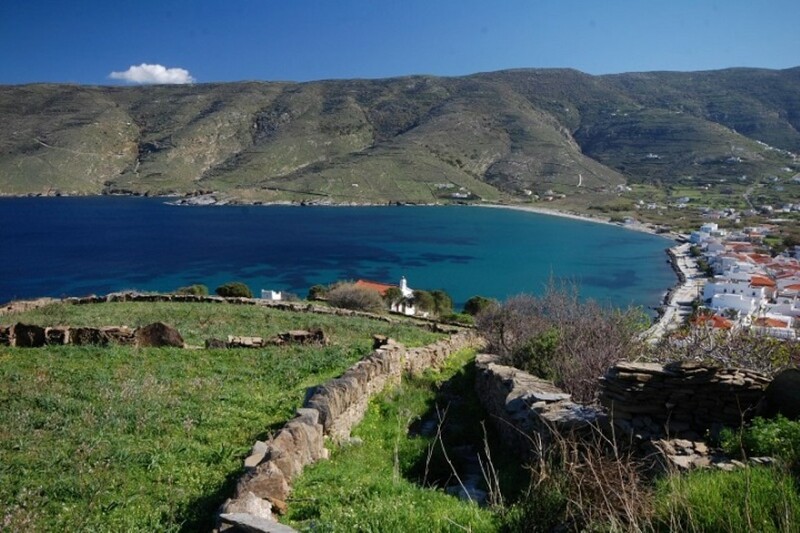 Approximately 160 km of trails are certified in Andros. This seems enough, but it is only a small part of the original network. 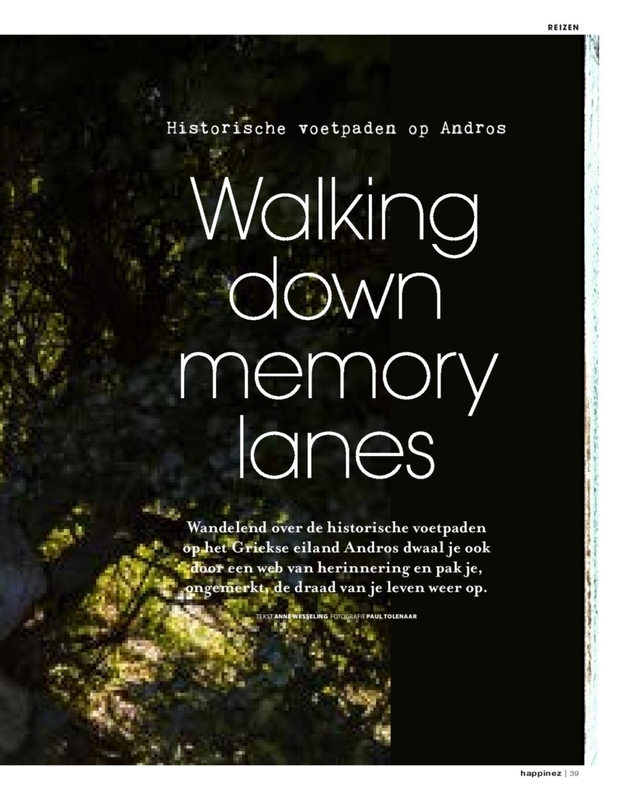 I saw an aerial photograph of Andros with all the original paths that existed. The island looked like an instrument with paths like capillaries to provide oxygen to all parts of the island. 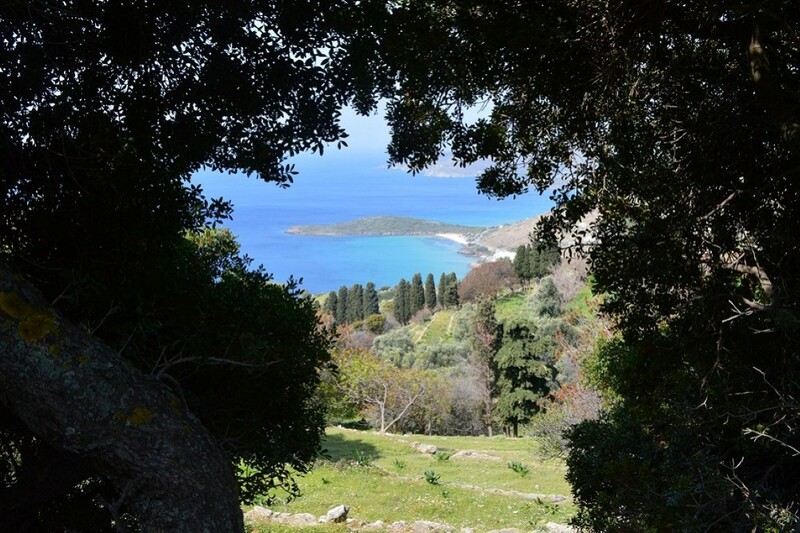 When I walk these paths I feel that everything is connected with me .. the island, its past. Olga was right on the first afternoon when she said I had not seen anything yet. There are so many beautiful places. 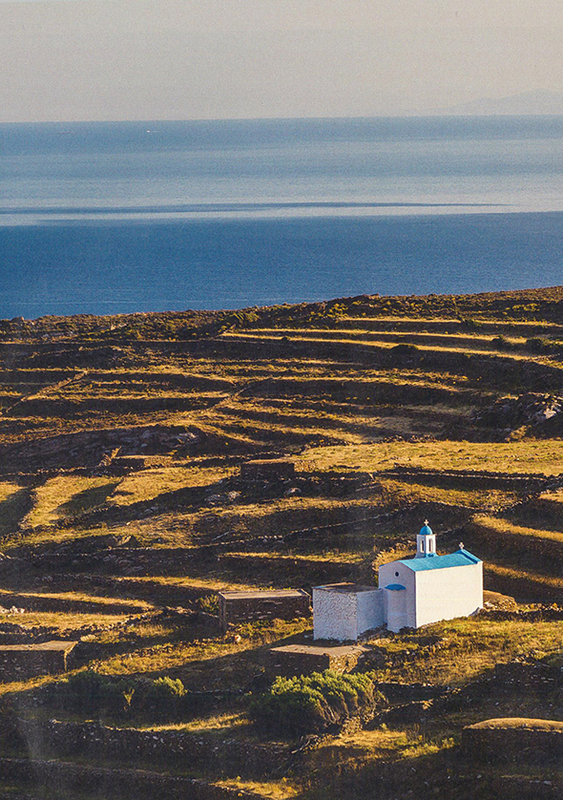 On the ship from Athens I had the impression that Andros was a small, barren island. But from afar you do not see the valleys where there is shade and water. 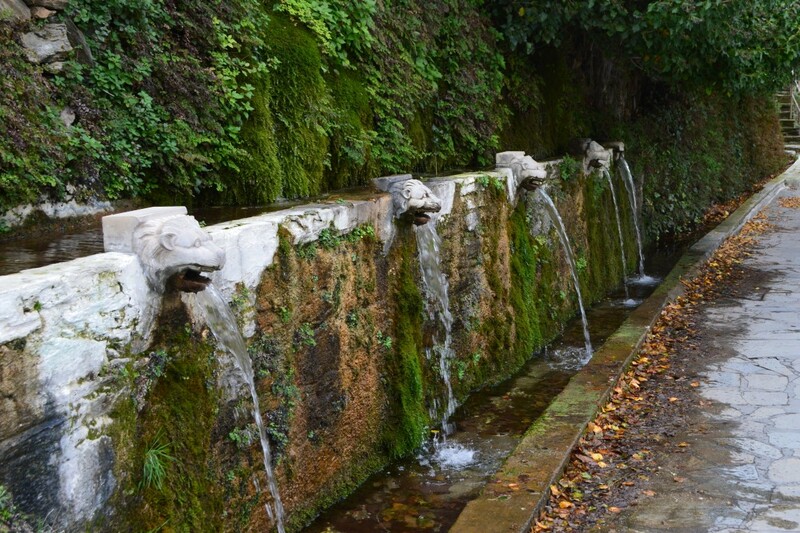 It is the water that makes Andros unique. Let’s just say once again … the best view is to care. It brings not only just economic benefits but also has a social and environmental impact.